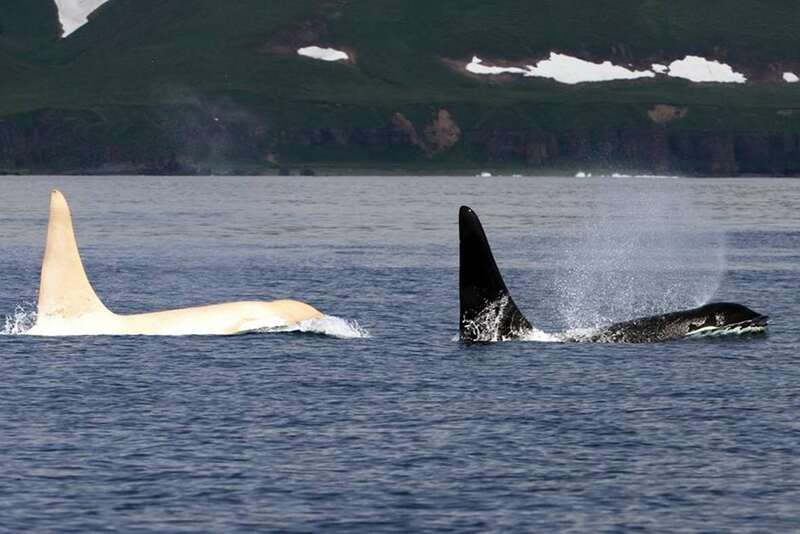 A rare white orcas who scientists feared may have died has been spotted for the first time in four years. The marine mammal, named Iceberg, had not been seen since Spring 2012. 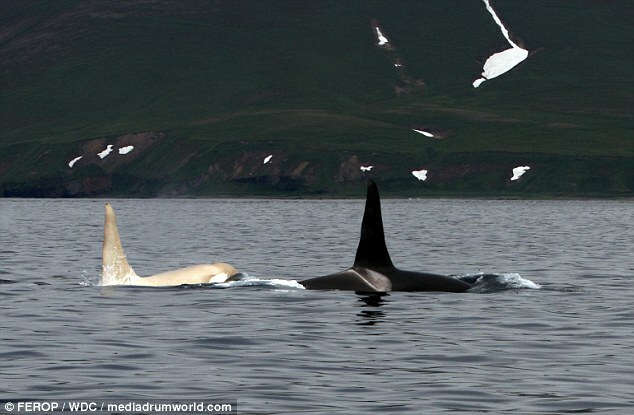 Just one in 10,000 orcas are completely white, and researchers were alarmed by Iceberg's long absence. 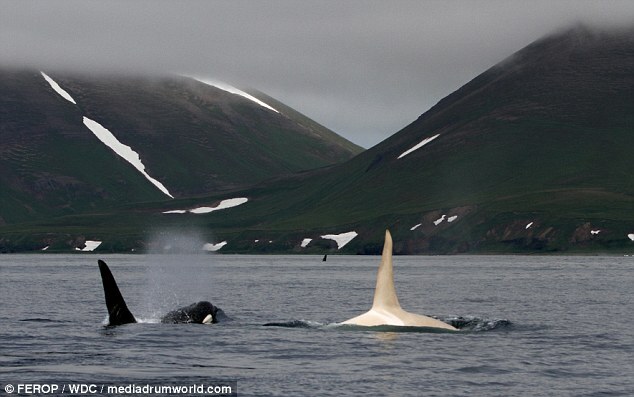 He was pictured off the coast of Russia's Kuril Islands by American researcher Erich Hoyt, from the Far East Russia Orca Project (FEROP). 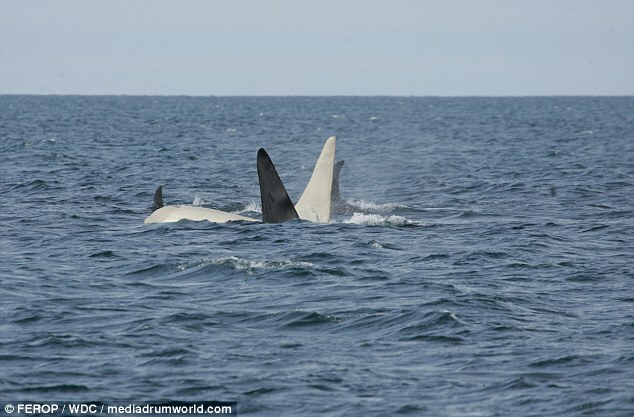 When Iceberg was first seen, Hoyt said: 'This is the first time we have ever seen an all-white, mature male orca. Iceberg is believed to be 22 years old, which says something about the longevity of white whales. There's still a lot we don't know about how this mutation affects the animals in the wild. 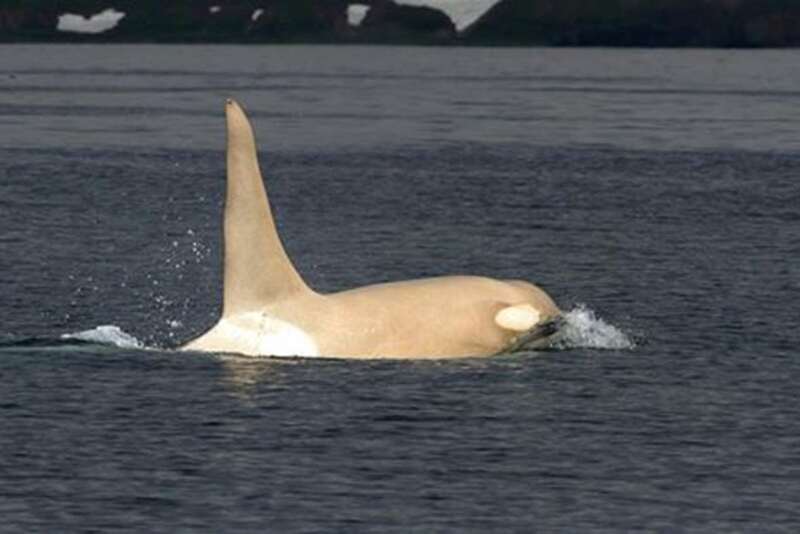 Healthy, adult orcas have virtually no natural predators, but their calves are vulnerable, and it's possible that white colouration makes them easier to spot. 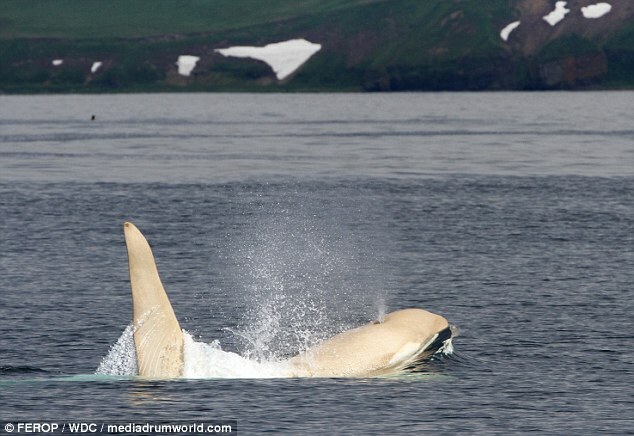 Responses to "Extremely Rare All-White Orcas Sighted Off The Russian Coast"